Go n-éirí go geal le Michelle atá ag dul ar shaoire máithreachas inniu 22/12/15. Ba mhaith léi a buíochas a ghabháil le Coiste na dTuistí as ucht na bláthanna agus an bronntanas álainn. She'd like to thank the PA for the lovely flowers and generous gift. Brathfaimid uainn í! We'll miss her! A thuistí, Cuireadh ar an eolas mé go raibh cás míoltóga ghruaige i Rang 4. Scrúdaigh gruaig do pháiste anocht agus cuir an leigheas cuí air más gá. Chun na míoltóga gruaige a sheachaint chabhrófar gruaig na gcailíní a chur suas agus banda gruaige leathan a chaitheamh. Tá an leigheas ar díol ag Hilda san oifig. Go raibh míle maith agaibh! Dear parents, I have been informed of a case of headlice in 4th class. Please check your child's hair tonight and treat it if necessary. To avoid the head lice it would help to put up the girls' hair and for them to wear a wide hairband. Hilda has the bottles treatment liquid for sale in the office. Thanking you all in advance! Beidh leath lá againn ar an Máirt 22/12/15. Críochnóidh na naí-ranganna ag 12.00 agus na hárdranganna ag 12.15. Tá ar an mbus scoile fágaint ag a 11.45. Beidh féasta / cóisir ag gach rang ar an lá. isteach mar ní féidir a bheith cinnte nach mbrisfaí iad! Níl cead guma coganta nó deochanna spraoi ar scoil. Tá cead acu éide nollag a chaitheamh más mian leo. There will be a half day Tuesday 22/12/15. The school bus needs to leave at 11.45. Every class will have a party on the day. that they would get broken! Chewing gum and fizzy drinks are not allowed at school. Pupils are welcome to wear festive clothes. School re-opens on Thursday 07/01/16. 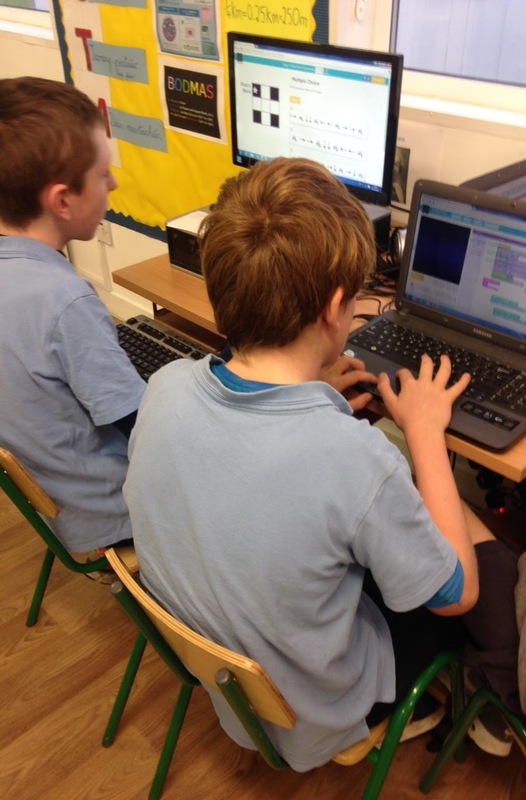 Thug rang a 6 cuairt ar an Girls Club sa chathair agus bhronn siad na blaincéid an dóchais orthu. Ár mbuíochas le gach páiste, gach tuismitheoir agus gach seantuismitheoir a rinne cniotáil le trí mhí anuas, go háirithe na tuismitheoirí a tháinig isteach chun cniotáil agus cróiseáil a mhúineadh. 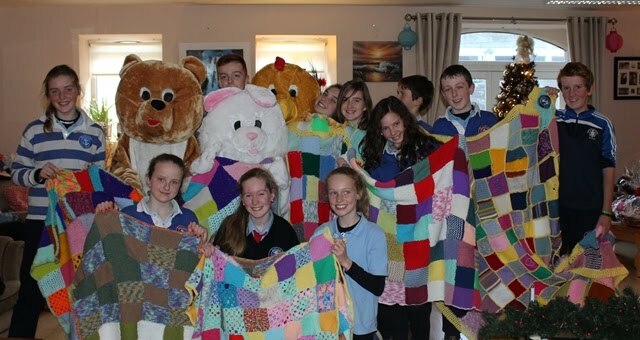 Rang a 6 visited the Girls Club and presented our Blankets of Hope to them. The volunteers were extremely grateful and were very impressed with the blankets. Our thanks to the pupils, to all the parents and grandparents who have been busy crocheting and knitting over the past few months. A special thanks to the parents who gave their time teaching the pupils how to knit and crochet every week. Cleachtadh ag Naí. Bheaga maidin Dé Céadaoin 16/12/15 agus maidin Déardaoin 17/12/15. Tabhair do pháiste díreach chuig an tséipéal an maidin sin ar a 9.00 r.n. Ansin tógaigí na málaí scoile go dtí an scoil le bhur dtola. Beidh seó na Nollag ar an nDéardaoin seo ag a 6.00 i.n. Páistí i láthair ag a 5.45i.n. le bhur dtola. Junior infants will have an extra practice for the Christmas Show in the Parish Church this Wednesday, (16.12.2015) as well as Thursday (17.12.2015). Please drop your child off at the church on those mornings at 9.a.m. and then bring their school bags into school. Bus back to school. 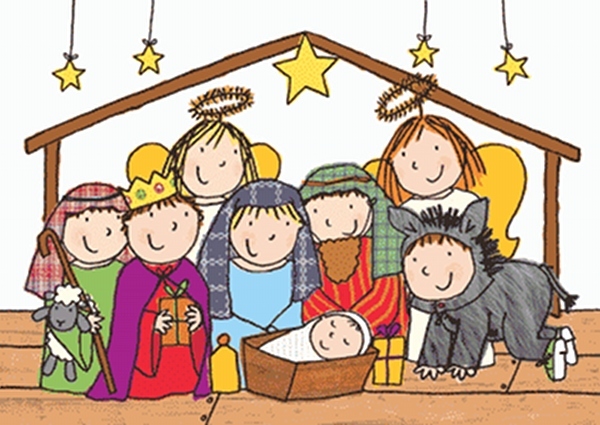 All classes will be performing Thursday night in the Parish church 17/12/15 at 6pm, pupils to be there by 5.45pm. Féach ar an méid leabhair a fuaireamar saor in aisce ó Scholastic! Míle buíochas do Choiste na dTuistí agus gach duine a thug tacaíocht don aonach. Look at all the wonderful books we received free of charge from Scholastic! Míle buíochas to the Parents Association, to all who organised and helped with the Book Fair and to all who supported it by purchasing books. 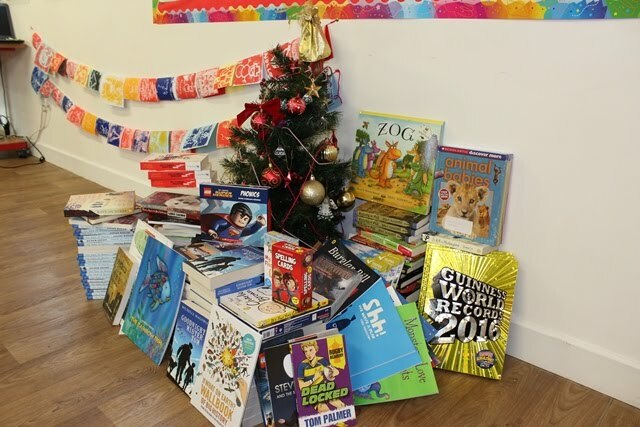 Every class have received new books for their classroom libraries. Beidh faoistin againn sa scoil Dé Máirt 15/12/15 do ranganna 3-5. Beidh faoistin ar fáil don bpobal an Luan seo chugainn 21/12/15 i Séipéal an Pharóiste ag a 6.30 agus iarraimíd ar pháistí rang a 6 chun freastal air. We will have confession in school this Tuesday 15/12/15 for ranganna 3-5. 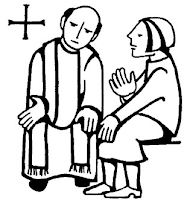 There will be confession held in the Parish Church Monday 21/12/15 at 6.30pm and we ask Rang a 6 to attend confession themselves if possible. Beidh Aifreann Do This in Memory ag a 10:00 maidin an Domhnaigh seo 13/12/2015 sa séipéal. Má tá ceann nó dhó uait, fág an t-airgead ceart san clúdach litreach ann agus cuir tic in aice leis na cinn atá tú chun órdú / If you want to buy some, leave the exact money in the envelope and tick the one's you want to order. An féidir liom griangraf a bheith agam leat? "On fay-der lum gree-an-graf a veh a-gum lat? 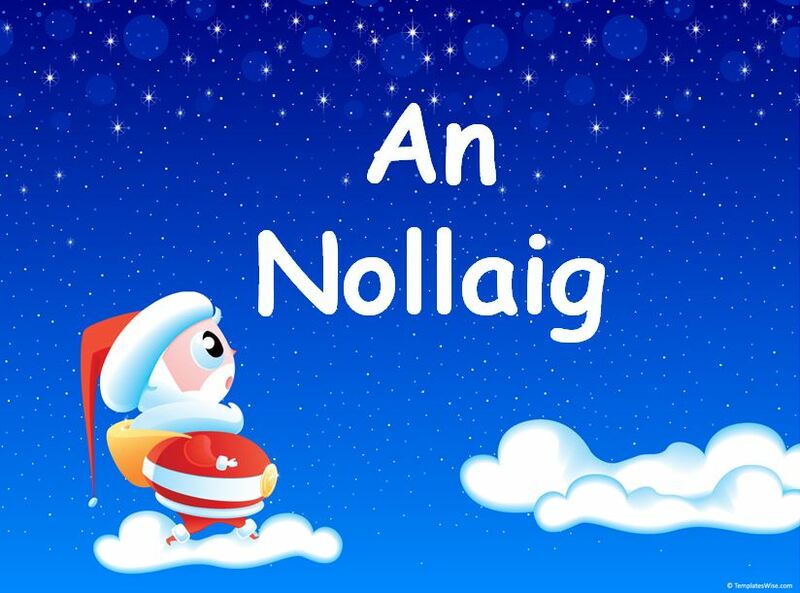 Nollaig Shona! - "Null-ig Hunna!" - Happy Christmas! Oíche cinn-bhliana - "Ee-ha kin vlee-na" - New Year's night. Ath-bhliain faoi mhaise - "A-vlee-an f-wee vasha" - Happy New Year! Beidh traenáil i gcomhair iománaíocht / camogaíocht (R3 & R4) sa halla, ag tosnú i Mí Eanair 2016. Táimid ag lorg tuismitheoirí a bheith sásta cabhrú leis an traenáil agus na leanaí a thabhairt ar ais ar scoil. Beidh sé ar siúl maidin éigin i Sáile le cúnamh Dé. Fág d'ainm le Hilda má tá suim agat. Indoor hurling and camogie training will commence in January 2016. We are looking for parents who are willing to help out with this training and to help transport children back to school. 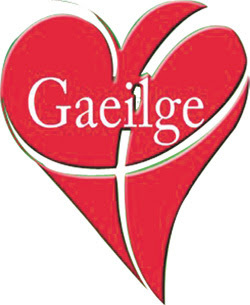 It will be held in Sáile one morning a week (Day to be decided). Please leave your name with Hilda if you're interested. 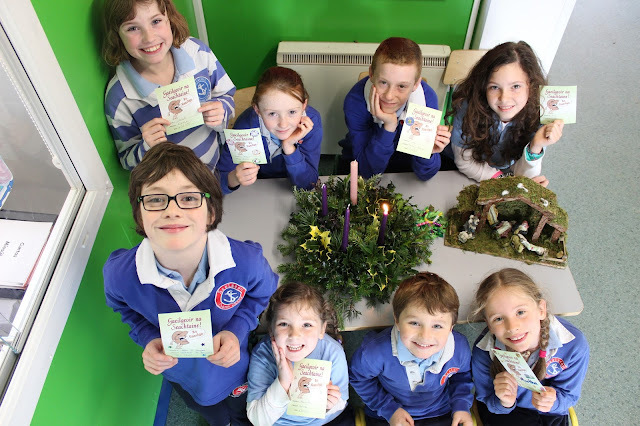 The school is participating in the WEEE pledge recycling challenge, in aid of LauraLynn, Ireland's Children's Hospice. 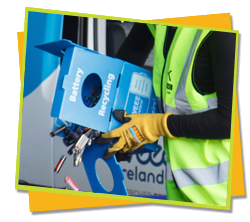 There is a WEEE battery recycling box in every classroom. The more batteries we collect, the more prizes we win! So every pupil is welcome to bring in as many old batteries as they can for the foreseeable future. Fágaigí (Tuismitheoirí Naí Bheaga) bhur bpáistí ag an séipéal an maidin sin ar a 9.00 r.n. Ansin tógaigí na málaí scoile go dtí an scoil le bhur dtola. 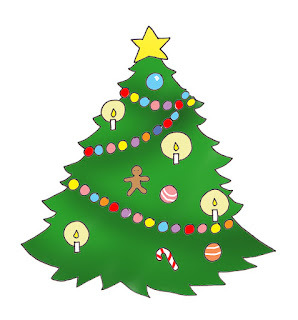 Junior Infants will be practicing for the Christmas Show in the Parish Church tomorrow, (09.12.2015), this Friday (11.12.2015) and next Thursday (17.12.2015). Please drop your child off at the church on those mornings at 9.a.m. and then bring their school bags into school. This third Sunday of Advent is often referred to as Gaudete Sunday, meaning the Sunday of Joy. During the Mass, Fr. Robert will explain to the children that throughout Advent, we are preparing and looking forward to the birth of Jesus. He will talk about how they can prepare for the birth of Jesus, by being kind, respectful, truthful, and by sharing with others. Before coming to Mass, Fr. Robert would like all the children to do the colouring on pages 44 to 47 of the THUMB book. These few pages focus on getting ready to welcome the baby Jesus. In Italy, on Gaudete Sunday people bring the figurine of baby Jesus from their crib to Mass for a blessing. They then wrap the figurine up in Christmas paper. The figurine is the first present to be unwrapped on Christmas Eve or Christmas morning and is a lovely reminder of the true meaning of Christmas. If anyone would like to bring the figurine from their crib to our Mass, Fr. Robert will be doing this special blessing. We would like parents to sit with their children during Mass. And please do join in and pray and sing aloud – don’t worry if you’re not the greatest singer – just joining in creates a lovely atmosphere. In this way, the children learn how to participate fully in the Mass. Seoladh abhaile clúdach litreach inniu 08/12/15 le trí thicéad don gcrannchur. Níl iachall oraibh iad a cheannach. Má tá fonn oraibh iad a cheannach, scríobh d'ainm agus d'uimhir ghuthán ar chúl sraith amháin agus seol é sin ar ais leis an airgead chuig Hilda. Coimeád an taobh eile tú féin. €2- sraith amháin, €5- trí shraith. Each family will have received an envelope with 3 strips of raffle tickets today 08/12/15 in their schoolbag. 12 prizes to be won. 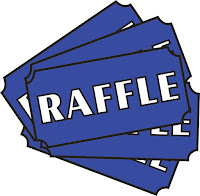 If you would like to buy tickets for the school raffle (optional), please return the envelope to Hilda- please write your name and phone number at the back of one strip of the ticket(s) and return it with the money, €2 for one strip, €5 for 3 strips. Please keep the duplicate copy of the strip of ticket(s) for your own records. Fágaint na scoile ag a 9.15 r.n. ar ais ag a 2.15 i.n. Ag díol ticéidí don ciseán ag SuperValu i leith Gaelscoil Chionn tSáile. 15 spás le líonadh - práinneach anois..
Cuir glaoch ar Hilda (021 4773731) nó Virginia (086 8249134) nó seol ríomhphost chuig eolas@gaelscoilchionntsaile.ie má tá sibh in ann uair nó dhó a dhéanamh le bhur dtola. Bheimís an-bhuíoch díobh. 15 spaces to fill - urgent now.. Please ring Hilda (021 4773731) or Virginia (086 8249134) or email eolas@gaelscoilchionntsaile.ie if you can do one or two hours. It would be much appreciated. 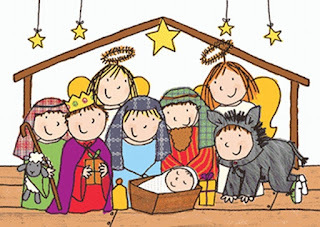 Statues of Baby Jesus will be blessed for home cribs at Masses in the parish church on the weekend of the 12th/13th December 2015. 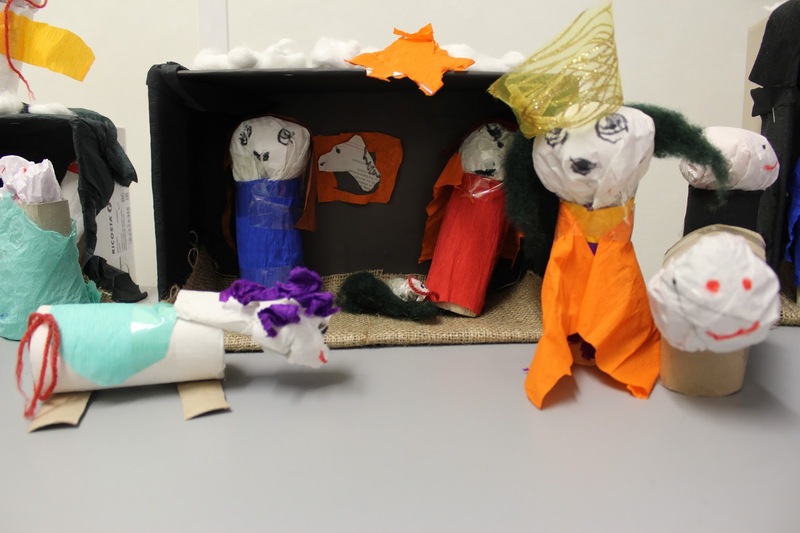 All are welcome to bring their statues of Baby Jesus to the 6.30pm Mass on Saturday 12th December 2015, the 10am or the 12 noon Mass on Sunday 13th December 2015. More information will be in the Beacon newsletter this weekend. Schools who played in the Sciath na Scol Football finals 2015, a DVD is available of the games. Cost of 2 games on DVD for schools with 2 teams & A family member on both teams €30. If postage is needed the cost €3 extra. Fr. Robert has asked if can check that all children making First Communion have been baptised please. Children who were baptised outside the parish need to provide a baptism cert. Children who were baptised here in Kinsale need to provide date of birth and date of baptism (approx date) so that the baptism records can be checked. Tá na dátaí breithe agam, na teastasaí baiste / dátaí baiste ag teastáil uaim.